Is Steve Jobs’s Biography An Inspiration To Entrepreneurs, Or A Warning? Blogger Jason Kottke has noticed an interesting pattern: Silicon Valley entrepreneurs who take Steve Jobs’s biography not as a guide to success, but as a warning. Kottke points to four entrepreneurs who are scaling back on work to focus on their families, lest they turn out like Steve Jobs. The Steve Jobs portrayed in Walter Isaacson’s biography is a modern-day Citizen Kane: a man who sacrifices everything to make Apple succeed. 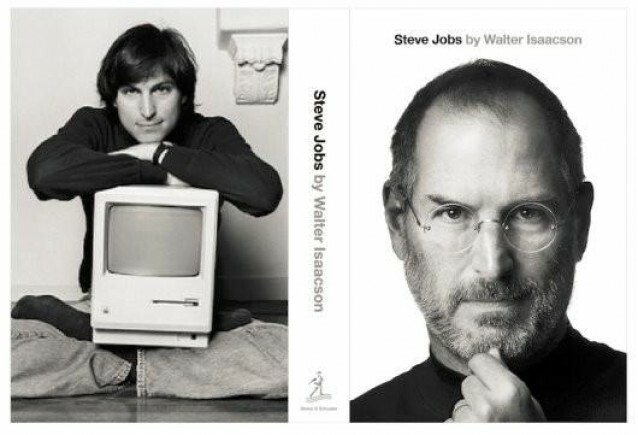 Jobs even told Isaacson he wanted his biography written so his kids could read about their father after his death, because he wasn’t around to tell then in person. Kottke, the father of two young children who has been working on a startup project for a number of months, says he took the same lesson from Isaacson’s book: that family comes before work. … it is interesting that the death and biography of the greatest businessman of our generation — someone who was responsible for so many world-changing products and ideas, who shaped our world through sheer force of will & imagination, etc. etc. — is inspiring some people to turn away from the lifestyle & choices that made Jobs so successful & inspiring in the public sphere and to attempt the path that Jobs did not. Kottke: The Lessons of Steve Jobs.